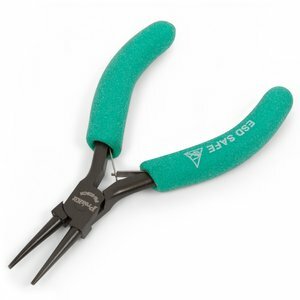 A round-nose plier is a hand tool with rounded ends, designed for precise work. Precise antistatic round nose pliers made of high quality carbon steel. OAL: 127 mm.